My new job is great. It is not great to home at 630pm (at the earliest) every night and still have to fix dinner. I know I could just not cook but what would I eat for lunch the next day? Cafeteria food is ok sometimes but it’s greasiness and boring flavors get old. I mean, how many slices of pizza and chicken strips can one person eat?!? This meal is quick and good for any of the three meals in busy day. Heat a 9 inch cast iron skillet over medium heat. Melt butter. Add potatoes and cook, stirring frequently, until tender (mine took about 12 minutes, but it will depend on how small you cut them). Add diced ham to the potatoes and cook another 2 minutes. 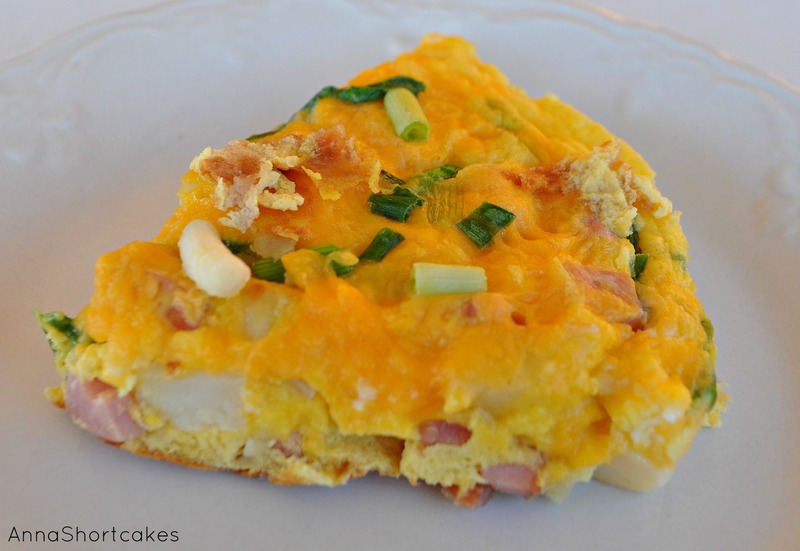 In a bowl, whisk eggs, milk, 1 cup of cheese, green onions, salt and pepper. Pour into skillet, give a quick stir, cover, and reduce heat to low. Cook for 6 minutes. Meanwhile, preheat broiler. Remove lid from pan and top with remaining cheese. Transfer skillet to broiler and broil until eggs are set (no longer jiggling and firm to the touch), cheese is melted, and top begins to only gently brown. Garnish with more green onion. Cut into wedges. Serves 6. I made these little sandwiches to accompany some Sketch-Free Broccoli Cheese Soup (recipe to follow). 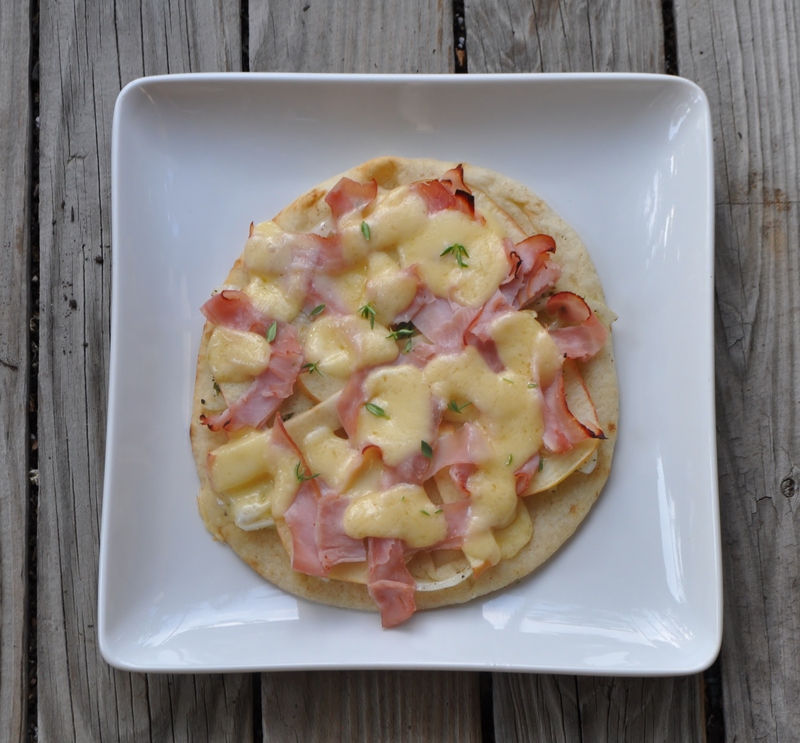 I love fresh apples but sometimes struggle to find savory ways to use them. Be sure to use a tart apple with a firm texture. You really want a punch of flavor and a good crunch when you bite into this delicious sandwich. Butter one side of each slice of bread. Place two slices of the bread, butter side down in a non-stick skillet. 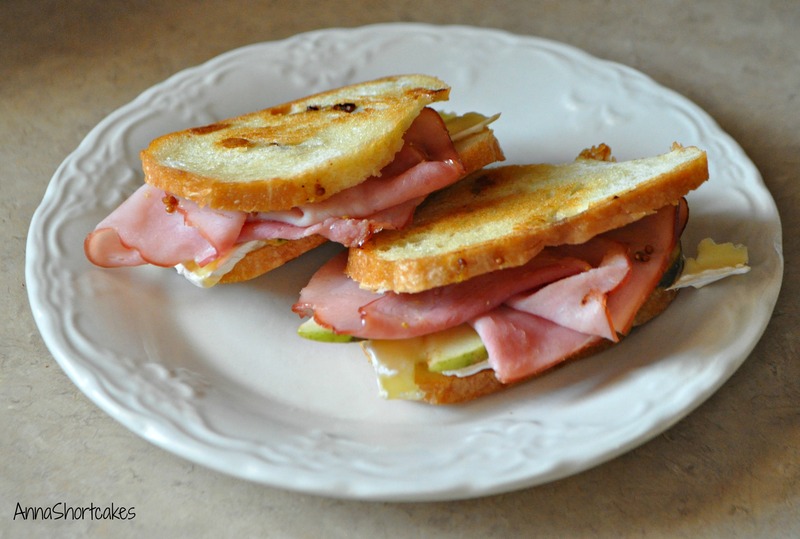 Layer each sandwich in this order – 2 oz ham, 2 oz brie, 1/4 apple, 1 tbsp whole grain mustard. Top each sandwich with the last slice of bread. 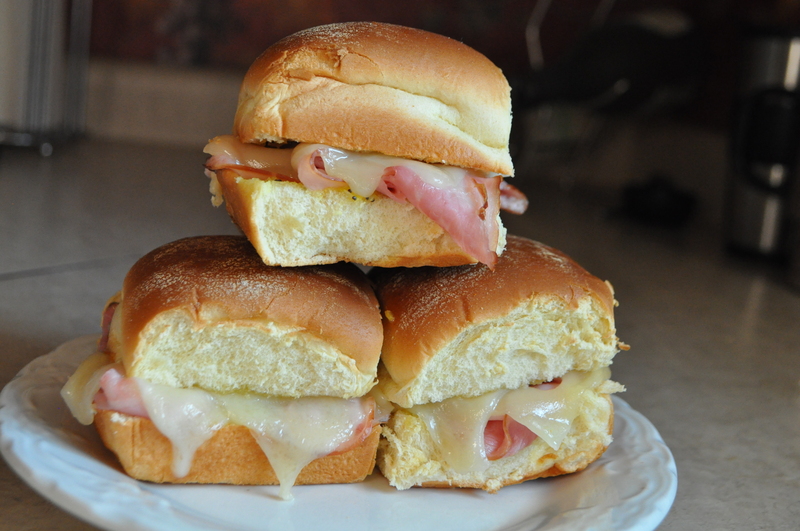 Grill until browned on each side and the cheese is melted. Serves 2.